One of the toys that kids love most is stuffed animals. They are cute and cuddly, and kids just love to carry them everywhere. However, as a parent, you know that everything gets dirt, especially when your kids have been playing with it all day. Stuffed animals are the worst. They get trapped with debris, dirt, and dust mites. While you can throw your child’s stuffed animal in the washer to clean off the debris and dirt, dust mites seem to be a problem entirely of their own. Don’t fret, mom, there is a way to clean those stuffed animals. In this article, we’re going to look at a few helpful tips for cleaning off those stuffed animals, and making them look and smell better. Plus, if your little one is allergic to dust mites, this can solve the issues so they can keep those cuddly stuffed toys. Here is what you need to know. Sometimes, you can see dirt and debris on the stuffed animal, and this can mean that dust mites are present. If that is the case, you can easily do a little spot cleaning to get the dust mites off the stuffed animal. The best way to do spot cleaning is by getting a gentle laundry detergent, or a baking soda and vinegar mix with warm water. Use whichever you like best to wipe down the stuffed animal by using a microfiber cloth. 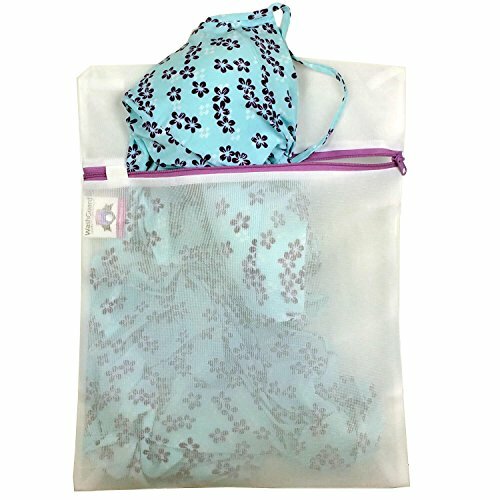 If you want, you can put the animals into a pillow case of lingerie bag, and put them in the dryer for just a few minutes to help get rid of any leftover dust mites. We will discuss heat cleaning later in the article as well. Just like you clean your clothing, you can clean your child’s stuffed animals in the same way. First, you need to ensure that you have a gentle laundry detergent that uses soap flakes. Something too strong can do damage to the stuffed animal, compromising the stitching and stuffing inside. Grab yourself a lingerie bag or a pillowcase that is tied at the top, and put the stuffed animals inside the bag. This protects the animals during the washing cycle, and it keeps everything together should something drastic happen. Put your washing machine on a gentle cycle, preferably the cycle used for delicate items, and let it wash. You can hang up the stuffed animals to dry or you can toss them, still in the bag, into the dryer for roughly ten minutes or so. A little chill can help get rid of those pesky dust mite since they need room temperatures to thrive. After you have cleaned the stuffed animals either in the washing machine or by spot cleaning, you should put the animals in a freezer bag and into the freezer. Letting them sit overnight can help kill off any dust mites that might be left on the animals after cleaning them thoroughly. If you want a little extra disinfectant, you can spray the animals with something like Lysol before putting them in the bag. When you take the animals out, let them thaw, and them wipe them down with a clean, damp cloth once again, letting them air dry. This provides that last bit of disinfectant you need to keep them clean and dust mite free. We’ve mentioned using heat several times already, but there is more behind heat cleaning that makes it so effective. Heat, since dust mites need room temperature to live, kills them off. There is one trick that can quickly remove the dust mites from the stuffed animals. The trick to using heat to clean off the dust mites is finding a laundry bag to hold them. After you’ve found the ideal bag, you should remove anything that might melt with too much heat, like plastic eyes and noses. Then put the animal in the bag before putting it in the dryer. Let the dryer run for at least 10 minutes to get the heat up. When the heat covers the stuffed animal, it will kill off any and all dust mites that might be clinging to the fibers of the fur and fabric. You don’t exactly have to deep clean your kid’s stuffed animals every single day, but a little wipe down with a damp rag or towel can help keep the dust mites at bay. This also goes for any fabric toys they might have. Cleaning the items every day, or at least once every few days can help greatly diminish allergens and asthma, especially in children who are prone to such issues. You can use any of the methods above to clean the animals. You can also grab your vacuum that you use around the house, grab the hose, and gently run the vacuum hose over the stuffed animals. Any heat from the vacuum and the suction of the hose can help remove those pesky dust mites, and it is much faster than deep cleaning. You want your children’s toys and other items to be as clean as they can be, especially if your child suffers from allergies or asthma, as many children do. One of the biggest culprits in the playroom is stuffed animals because they tend to trap dirt and debris as well as pesky dust mites. Many parents simply do not know how to properly clean their children’s stuffed animals, but keeping these fluffy, snuggly items clean is important to ensuring that your children do not suffer from allergy attacks or worse, an asthma attack. The methods mentioned above are simple and easy methods to keep your children’s stuffed animals clean and dust mite free. They only take a little time and effort, but they are effective at cleaning off dirt, debris, and even those gruesome dust mites. Though they might be little, dust mites are terrible at stirring up allergens, especially in children. Stuffed animals are the worst at holding on to those dust mites, which makes cleaning hard. However, our easy methods can help you get those animals clean so your kids can get back to snuggling them.